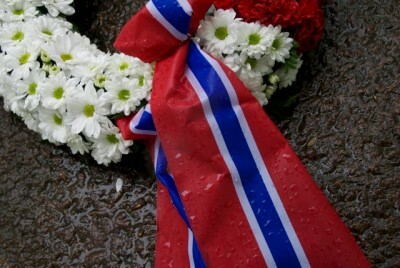 This week marks the run-up to Norway’s bicentennial celebrations that will climax on Saturday, the 17th of May, when Norwegians will mark the 200th anniversary of their constitution. Special events are planned all week long, involving the royals, government leaders and the people themselves. Kings and queens from all the Scandinavian countries will be in Oslo and at Eidsvoll, the town north of the Norwegian capital where the country’s landmark constitution was actually signed after six hectic weeks of writing it in the spring of 1814. The Swedish royal couple announced they’ll be taking the train from Stockholm, while others including all of Norway’s mayors from around the country will also descend on the capital. Thommessen will be among those leading the bicentennial celebrations after enduring weeks of harsh criticism for refusing to meet the Dalai Lama in Oslo last week. That made many Norwegians question whether Thommessen and the rest of the Norwegian government were paying attention to such values as human rights and democracy themselves. Undaunted, Thommessen is carrying on his role as a leader of the celebrations, presiding over a special “jubilee meeting” inside the Parliament at noon on Thursday. Both Norwegian royal couples and King Harald’s sister, Princess Astrid, will also attend, marking a rare gathering of royalty inside the national assembly. 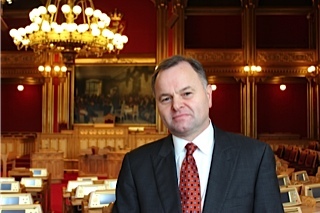 Thommessen will then invite the public to what the Norwegians call a folkefest (people’s party) in front of the Parliament Building (Stortinget) on Thursday afternoon. It will feature entertainment and an exhibit of national costumes (bunader) from around the country. The king and queen, meanwhile, will host a reception at the Royal Palace at 3pm on Thursday for all the country’s mayors who are traveling to Oslo for the bicentennial. Various receptions, parties and museum exhibits will be held on Friday as well, followed by the traditional Constitution Day celebrations on Saturday. As usual, the crown prince and his family will greet the local children’s parade outside their home in suburban Asker before the entire royal family assembles on the palace balcony to wave to the masses in the capital’s parade from 10:30am. Local versions of the parades featuring flags and costumes will be held all over the country. 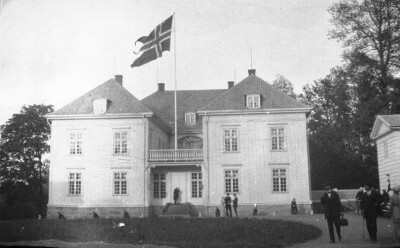 From there, the government leaders and royals will head for Eidsvoll, to the historic home where it all began that’s just been fully restored for the bicentennial. Special ceremonies are planned for Saturday evening, with Swedish and Danish royalty present as well. Norway had been part of Denmark for 400 years before its transfer into a forced union with Sweden that lasted until Norway broke out of the union in 1905. Now, however, all three countries are on good terms despite friendly rivalry. On Sunday May 18th, King Harald and Queen Sonja will be present at the noon unveiling of a new statue outside the Parliament. It depicts King Christian Frederik of Denmark, who was deeply involved in the formation of Norway’s constitution while still a Danish prince and wanted to serve as Norway’s first modern king, only to see the chance dissolve in the face of the Swedish union. He ultimately had to quietly leave Norway at the end of a difficult summer in 1814 and return to Denmark, where he later became king. On May 19 the celebrations will continue at the Akershus Fortress and Castle in Oslo, to mark the 200th anniversary of then-Prince Christian Frederik’s formation of Norway’s government and ministries in 1814. Bicentennial events will continue throughout the year, but the historic significance of the days around the 17th of May make this week’s celebrations the most elaborate. For a full calendar of events, go to the parliament’s special bicentennial website here (external link, in Norwegian).